The Body Shop Colour Crush Shine lipstick range, R120 each. 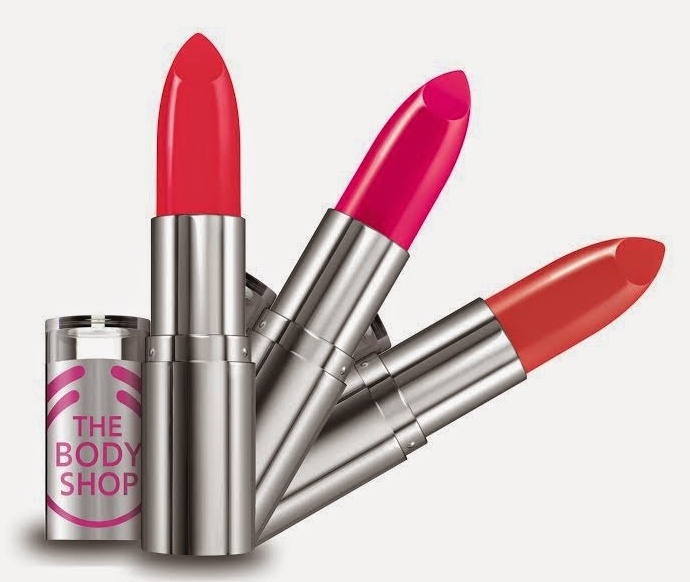 The Body Shop’s just launched a few new brightly coloured Colour Crush lippies just in time for spring in the UK. While it might be winter here in SA – or at least Cape Town; it’s bucketing down as I type – who the hell cares? A zexy colours and zexy colour and I’m Beyonce-style crazy in love with two of the hues I was given; Fuchsia Flirt and Magenta Be Rouge. Each of the hydrating marula oil-infused lippies delivers a sheer wash of glossy-looking colour that makes it very easy to wear a much brighter shade than what you might usually feel comfortable with. 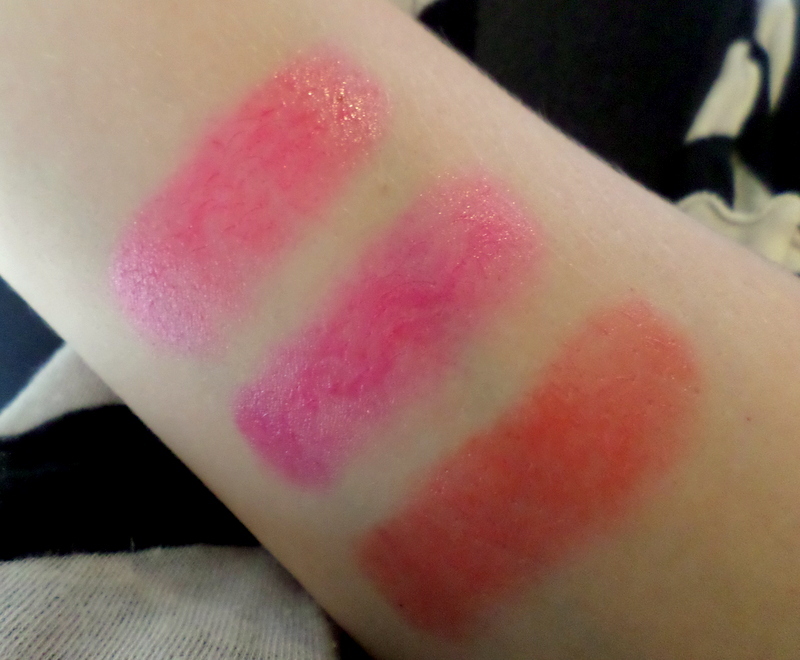 In fact, each lippie is so lightweight and moisturising, they kind of feels like you’re wearing a Labello lip balm. (Obviously they deliver a lot more colour though.) The only negative here is, due to their super-luscious texture, you end up sacrificing on the staying power but ag wat, I don’t have any problems with having to reapply as the day goes on. I like these babies so much that if I had to lose them, I’d go into store tomorrow and snap them up again. 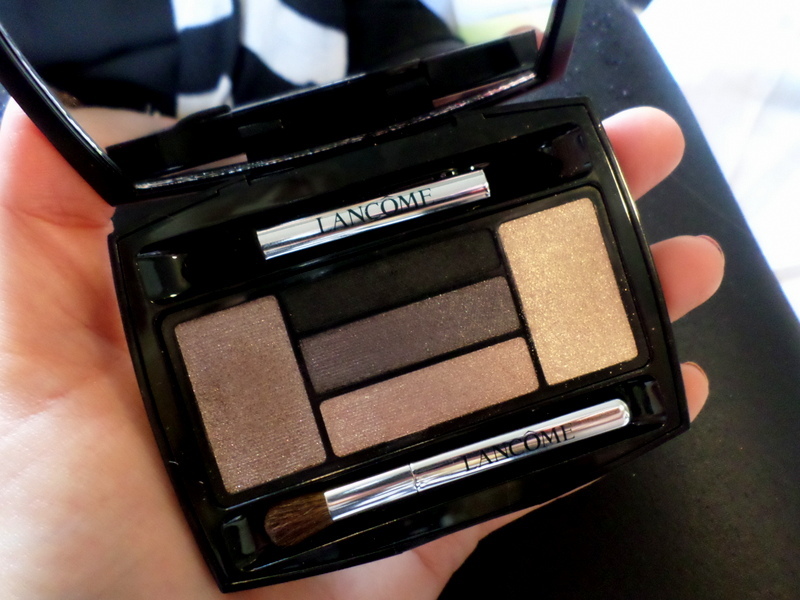 Lancome Hypnose Star Eyes palette in Brun Adore, R595. Oh hello there pretty palette! If you’re wanting to create a gorgeous smokey eye using shimmery, moody-looking neutrals that are perfect for night time, Lancome’s got a little something for you. 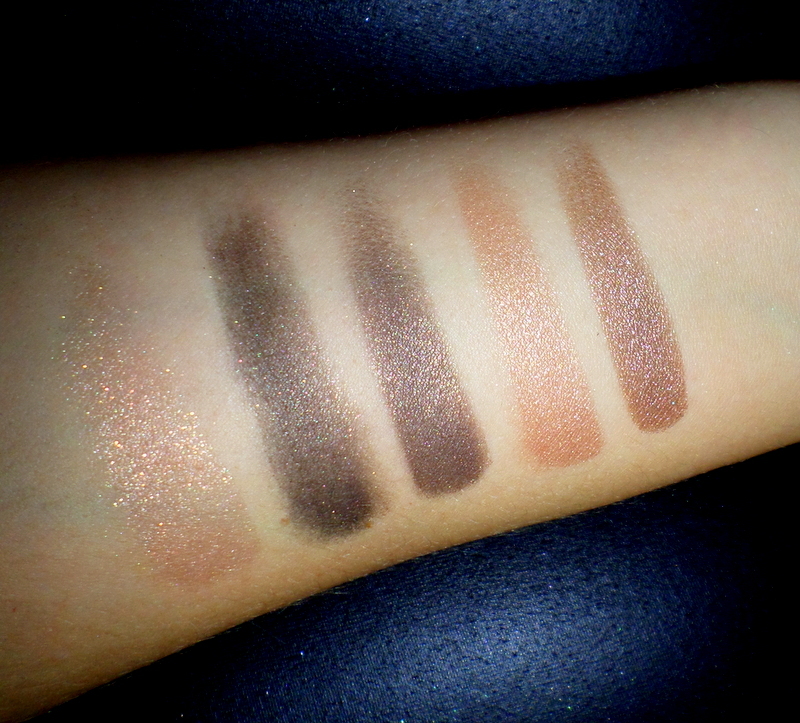 Each finely milled shadow is fabulously pigmented and literally glide across your skin. In a way, they remind me a little bit of my beloved Urban Decay shadows. I also really like the compact itself; slim and sleek… big mirror… and magnetised troughs to hold the applicators in place. Fancy! This was shot with a flash so you could see how the shadows range from fabulously sparkly to shimmery and velvety. 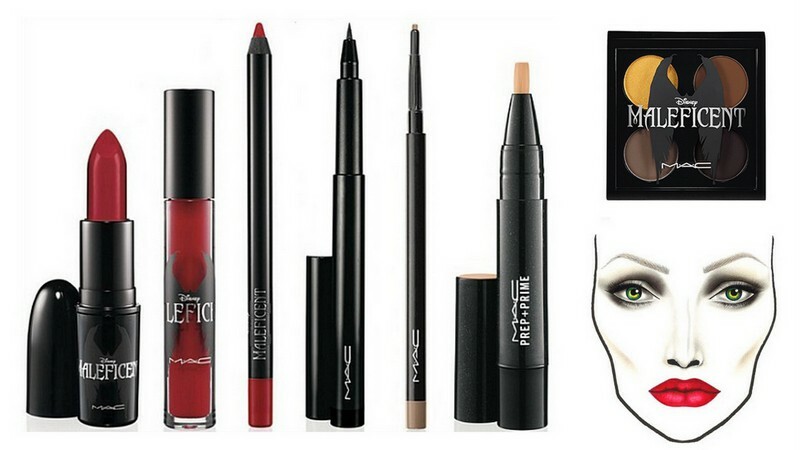 Used with a primer, they’ll last from sunrise to sunset but are still long-lasting even without it. I love that the classy-looking compact comes with a large mirror, a double-sided sponge and velvet tip applicator as well as a little blending brush. You can also visit Lancome’s UK website to check out a li’l tutorial on how to use the shadows to create a ‘sophisticated’-looking eye. I’m going to try this myself over the weekend and update this post with a piccie. Even when she’s trying to look scary and kak she’s still a hottie. Bah, to hell with you Angelina. The new collection consists of shadows, hectique-looking false lashes, blood red lip colours and more but I’ve yet to get up close and personal with it. The new collection consists of shadows, hectique-looking false lashes, blood red lip colours and more but I’ve yet to get up close and personal with it. I was sent a ‘nail lacquer’, however, in a shade called Flaming Rose and I love, love, love it. 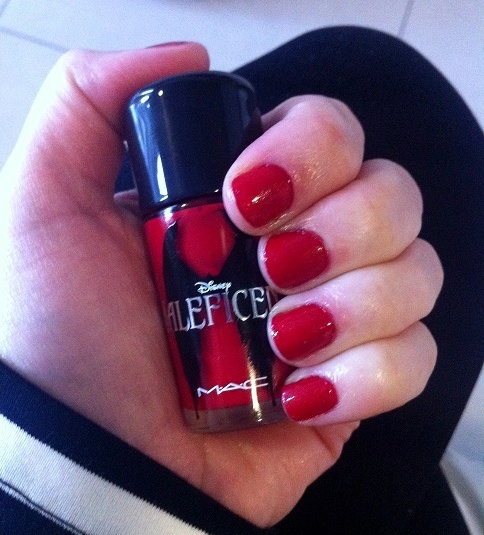 Maleficent nail acquer in Flaming Rose, R150. If you want one yourself best you move fast. 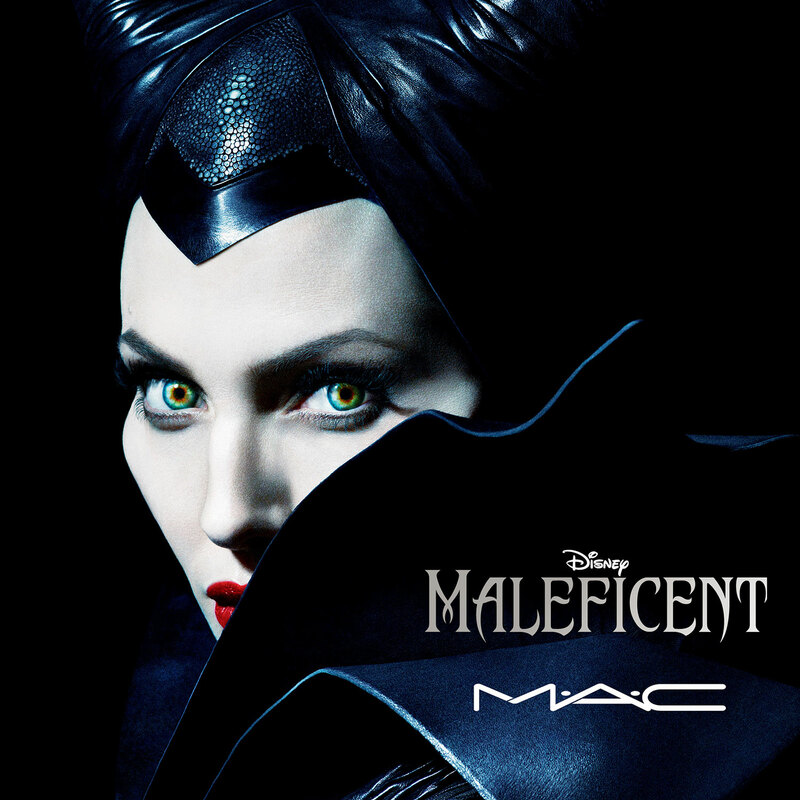 MAC’s limited edition collections always sell out fast and a timeless, finger flattering rooi like one this will fly especially fast. Hi Lomie! As it turns out, that idea’s been shuffling around in my head for ages. Once I’ve gotten a grip on reviewing the mountain of shizz I’ve been sent in the last little while that’s one of the first posts I’ll get cracking on.